Do you find online marketing activities taking up too much of your time? Blogging, email marketing, list building, lead generating, newsletter broadcasting, social media update in Facebook, Twitter, Instagram, LinkedIn & Pinterest and many others are overwhelming and never ending. If you are lucky, you might have a team of marketers to help you with the different marketing activities but if you are a small business or sole entrepreneur, you will find yourself overwhelmed as marketing is a time and labor intensive process. Therefore, the best solution is to seek help from technology to automate your online marketing activities and one such tools is Constant Contact Toolkit. It is a tool that helps small businesses to manage labor-intensive marketing activities with ease even with little resources and budget. 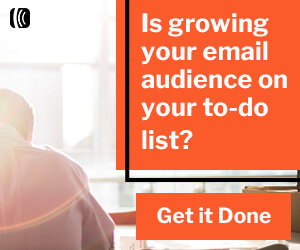 Constant Contact Toolkit offers a suite of software including Email Marketing, Autoresponder, List Building, Social Campaigns, EventSpot, Feedback and Survey. This tool will simplify your marketing activities and make them more integrated and consistent. What Online Marketing Tool can do for Your Business? An online marketing tool creates a stable funnel for both of your marketing and sales processes. The whole process of lead generation, lead qualification to lead management is handled by the automated marketing tool so at the end of the funnel, you will get ready-to-buy customers when they actually come to you. It speeds up the entire sales process, eliminating the needs of cold calling and prospecting. Some tasks like lead capturing and prospecting are repetitive and mundane so by using an automated marketing tool, it helps to free up valuable resources for more important tasks like customer relationship building and engagement. This will be the greatest benefit as it automates the entire marketing process so you do not have to engage many resources to run and manage your marketing campaigns. In Constant Contact Toolkit, it has ready-made templates available for different marketing campaigns so it saves you the hassle of creating campaign from scratch. As a result, you will save more times especially when you are new to marketing as you might need more time figuring out the content for each marketing campaign. The online marketing tool is available 24×7 so you have a virtual marketing team working for you around the clock. As a result, your customers can access your funnel anytime and anywhere at their conveniences. The removal of time and location constraints will increase your business opportunity which in return more revenue. Most importantly, customers can help themselves to complete the whole transaction process if your sales process is well integrated with your payment and delivery systems. Many small business owners need to multi-tasks many tasks per day so the online marketing tool have a scheduling feature which allow you to pre-schedule all your marketing campaigns in advance. It is a huge time saver as you can manage other tasks once it is scheduled. The individual campaign will be broadcasted out when the date is due and customers will be informed of the latest promotion and update punctually. With the real-time report available online, you can adjust your marketing campaign according to your customers’ response. The report will show customers’ interests through their interaction with your marketing campaign via the open rate, click rate and conversion rate. This gives you better analysis and clearer pictures of what is working for your campaign and funnel so you can further refine them to suit your customers. In conclusion, with an automated marketing tool, your marketing activities can be greatly simplified and streamlined, leaving you more time to perform other important tasks. If you are interested to know more about online marketing tool such as Constant Contact Toolkit, check it out by clicking here. You can sign up a trial version and use it free for 60 days to test its full functionality. You are welcome to let us know if you have any questions or feedback in the comment box. Why Retail Stores Today Should Get Email Marketing?